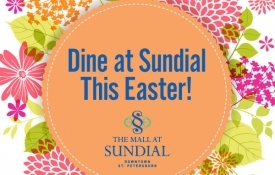 0 Dine at Sundial This Easter! 0 Hip, Hop Hooray! 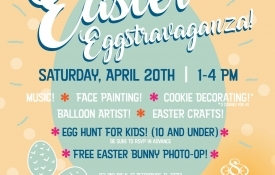 Sundial’s Easter Eggstravaganza Is Days Away! Start your engines, and shift into gear because Sundial is kicking off Grand Prix weekend in a big way this year! Join Sundial St. Pete on Friday, March 8th for Fast Friday, a night celebrating the Grand Prix of St. Petersburg. The night will begin with live music in the Sundial courtyard from 5:30 – 8 p.m. from Ari and the Alibis. Ari and the Alibis bring an infusion of Funk, Jazz and Samba with Blues Soul and Rock. They’ve created a memorable ear-catching sound that has quickly become one of the top acts in Tampa Bay. Take a few laps around Locale Market from 6-9 p.m. to fuel up on dishes inspired by the Grand Prix of St. Petersburg at each of the food stations. Pit stop for specials on beer and wine, including $4 glasses of wine, $3 draft beers, 2 for $3 cans of beer and more. Tickets are available now at LocaleMarket.TockTix.com for $25. 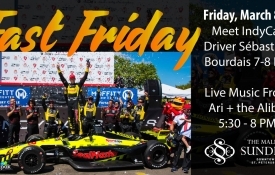 Race back to the Sundial courtyard from 7-8 p.m. for a meet and greet and free photo op with IndyCar driver Sébastien Bourdais. Sébastien won the Grand Prix of St. Petersburg in 2018 and will be back on the track this year. Stop by Sundial to cheer on our St. Pete resident before the big race. 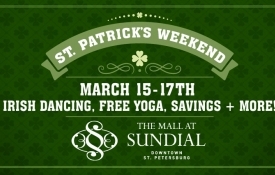 Put on your favorite green gear and celebrate the luck of the Irish at The Mall at Sundial St. Pete this St. Patrick’s Day weekend. Sundial St. Pete will be hosting activities and entertainment all weekend long, so get ready for a wee bit o’ fun. The weekend kicks off Friday, March 15 with Sundial merchants Jackie Z Style Co., Florida Jean Company and the Sundial Gift Shoppe offering 15% off for customers in green all weekend long. Plus, Lilly Pulitzer will offer a free gift with any $75 purchase (while supplies last) and The Shave Cave will offer 15% off all products! Gather in the Sundial courtyard Saturday morning at 9 a.m. for FREE Luck O’ The Irish Yoga instructed by Body Electric Yoga Company. Stay after class for “feelin’ lucky” raffles and a tasting provided by Locale Market and Min’s Matcha, a Clearwater based tea company. Continue the celebrations Saturday afternoon by learning to step dance like the Irish from the Gilleoghan Irish Dance group, a premier Irish dance school based in Tampa. They’ll be performing a traditional Irish dance at 2 p.m., followed by Irish dance instruction. Relax after dancing with a FREE Ryan Patrick Wine sampling at Locale Market from 2-5 p.m. Conclude St. Paddy’s weekend on Sunday with a Sip N’ Shop at Happy Feet Plus from 2-6 p.m. They’ll have complimentary refreshments, foot massages and a Kenkoh Sandal raffle. 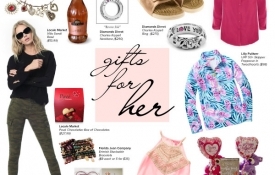 0 Valentine's Day Gifts She Won't Forget! Spoil your sweetie this Valentine's Day with treasures big and small. The Mall at Sundial has the gifts she covets; for every style and every budget. Show the man in your life some love this Valentine's Day! The Mall at Sundial has gifts to suit every taste and budget - let the merchants at Sundial St. Pete help you find the perfect thing to say, "I love you." 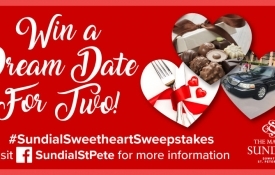 0 Win a Dream Date This Valentine's Day! Whether your day was consumed with working, shopping, or enjoying the sights and sounds of downtown St. Pete, there is no better way to unwind at the end of a busy day than to sample the fabulous happy hour offerings at The Mall at Sundial. 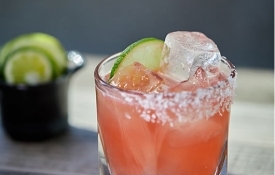 With three first-class restaurants to choose from, there is a happy hour to fit every vibe. If fresh Florida seafood is on your mind, Sea Salt Oyster Bar and Lounge should be on the top of your list. From 3:00 – 6:00 PM every day, you’ll enjoy a half-price bar menu featuring their famous Crab & Avocado Martini, Crispy Calamari, and a selection of snacks and sandwiches using local and organic produce and wild-caught seafood. If you’re in the mood for wine, look no further than the stunning 22-foot tall wine tower at the center of the restaurant. With more than 4,000 bottles of wine in regular rotation, there is something for everyone. Last but not least, Dollar Oysters are available every Monday – Thursday as part of the regular happy hour menu. For more information, visit www.seasaltstpete.com Looking for a local spot with an emphasis on craft cocktails and elevated happy hour favorites? FarmTable Cucina is your spot. Monday – Friday from 4:00 – 6:00 PM, you’ll find $4 Local draft beers, $7 Bartender’s Daily Cocktail, and ½ price wines by the glass. Snacks include Crispy Duck Fat Fries that are just as decadent as they sound, Whipped Ricotta with local honeycomb, and Nana’s Meatballs. Round out the meal with 2 Buck Shucks, a daily oyster selection for just $2 each. Find out more at www.farmtablecucina.com If you are more of a traditionalist by nature, you can’t go wrong with the unbeatable $9 Sizzle, Swizzle, Swirl Happy Hour at Ruth’s Chris Steak House. From 4:30 – 6:30 PM Monday – Friday and Sunday, you’ll find a special selection of $9 handcrafted cocktails made with premium spirits like the Classic Cosmo, Pomegranate Martini, and Ruth’s Manhattan, plus select wine and beer specials. Full-sized appetizers like Seared Ahi Tuna, Steak Sandwiches and Prime Burgers are all priced at $9 as well, perfect to share or as a meal on their own. More information at www.ruthschris.com Whatever your happy hour style, you are sure to find your perfect match at The Mall at Sundial: downtown St. Pete’s favorite place to Shop, Dine, & Unwind.